Sometimes referred to as USOs (Unidentified Submerged Objects) or UUOs (Unidentified Underwater Objects), sightings of strange lights and crafts emerging from, or descending into, the seas, oceans, and lakes around the world are quite widespread. Some UFO researchers and investigators even claim that there are underwater alien bases present in the vicinity of these aquatic sightings. Here are 10 of the most interesting claims. California has been a UFO hot spot for years, so when it was theorized that a structure discovered 600 meters (2,000 ft) below the water 10 kilometers (6 mi) off the coast of Malibu was in fact an alien base, it didn’t come as that much of a surprise. The structure has a distinct oval shape and what appears to be flat top. It measures approximately 5 kilometers (3 mi) wide, and there also seem to be pillars holding up the main “roof” of the mysterious anomaly. These pillars look to be spaced evenly apart, almost as if it were an entrance of sorts. The alleged alien base was first brought into the public arena when Jimmy Church, who hosts the radio show Fade To Black, acted upon information given to him by a listener, who went by the name of “Maxwell.” Maxwell gave coordinates from Google Earth that showed something he believed may be an artificial structure. Church, with his design team, obtained as many different angles of the structure as they could. Church stated that after investigating all of these angles, he very much believes this structure is indeed artificial, even going as far as to say it could be the “holy grail” for ufologists. Of course, not everyone subscribes to this theory. Earthquake geologist David Schwartz, for example, states that the alien base is most likely nothing more than part of the continental shelf, further stating that he didn’t see “anything special” in the pictures. Ben Hansen, a former FBI agent and an expert in pictures and video, also warned that people should be cautious how they interpret Google Earth images, stating they are pieced together from different sources and can often be misleading. Numerous sightings of strange lights leaving and entering the sea around Puffin Island, Wales, has led some ufologists to believe that the area may be home to an underwater alien base. A spate of sightings in early 1974 were particularly interesting to investigators. All spoke of not just lights, but solid objects that were seen leaving the sea near the island. UFO investigator Phil Hoyle stated that he has heard and read various unconnected reports concerning Puffin Island and that all of them tell the same story and describe the same type of phenomenon. He also stated that alleged alien abductees close to the area have reported that their abductors were humanoid and told them they came from a base under the sea near the island. There are even some theories that the area itself may be the ancient legendary kingdom of Cantre’r Gwaelod and that these humanoids are their descendants. Hoyle believes that the ties to an ancient site and the current UFO activity shouldn’t be downplayed, stating that according to his research, there is an 80 percent increase in such activity on or around ancient sites worldwide. 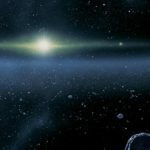 In December 2013, MUFON published a report from a Hamilton resident who claimed to have seen several strange, glowing orbs hanging over Lake Ontario. 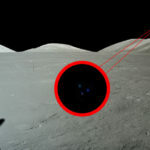 He also claimed to have seen these orbs on the lake several times prior, and what’s more, he believes that there is an alien base under the water. He is far from the first person to have made such an assertion. In August 1981, five witnesses who were driving alongside Lake Ontario early one evening saw a dome-shaped craft flying over the water. They followed the craft for some time before seeing it begin to descend and enter the water, disappearing from their sight. Perhaps the stories of an underwater alien base, stem from the 1977 book The Great Lakes Triangle by Jay Gourley, who made note that many planes and people had disappeared over Lake Ontario, not to mention the many UFO sightings of the area. Another book, Underground Alien Bases, released in 2012 and written by the somewhat strange “Commander X,” has also perpetuated the legend of the alien base under the lake. It features within its pages several accounts of sightings on and around the lake and the assertion that an alien fortress of one kind or another lies under the water. However, none of the accounts can be verified by a secondary source and so are left open to debate as to how reliable they are. North Island in New Zealand has been witness to many strange objectsentering the sea, with activity stretching out to some of the offshore islands around the area. UFO researchers state that the area is a hot spot for such activity, with locals claiming that the area is a flight corridor to an underwater base for the strange craft that exist there. Between January and March 1995, there were dozens of sightings of these objects coming and going in the area. These were not limited to nighttime, with many of the objects being witnessed during the daylight hours. One particular daylight sighting on March 9, 1995, stands out. It began with two fishermen who witnessed a bright, silver, ball-shaped craft that seemed to glow or pulse as it moved and emitted a strange red stream behind it. The two men saw the object for less than 10 seconds before it vanished from their sight. Around two minutes later, however, there were sightings of what seemed to be the same object by the control towers at both Hamilton International and Rotorua Airports. Further supporting the incident were several reports that were phoned in to a local radio station from concerned residents, who all described a very similar object in the bright, sunny sky. 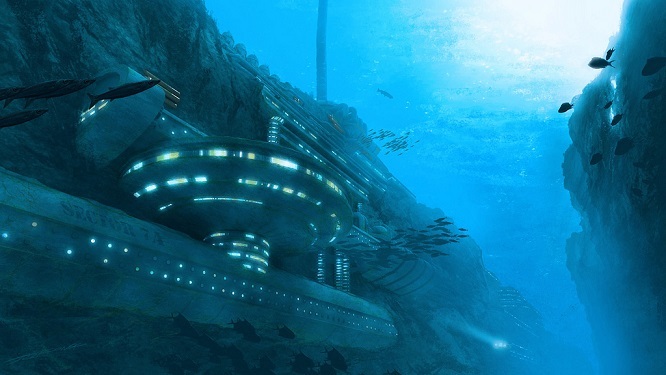 In the case of the alleged underwater alien base in the depths of the Pacific Ocean, the mainstream scientific explanation is actually stranger than that of the ufologists. According to a research team led by Simon Baumann-Pickering, the low humming sound that has had people searching for bases and installations for over two decades is nothing more than sea creatures releasing gases from their swim bladders—essentially breaking wind. UFO researchers have almost entirely rejected this assertion. The humming has been studied and debated since 1991 by scientists and UFO investigators alike, when it was first observed by National Oceanic and Atmospheric Administration (NOAA). Ufologists argue that rather than being a sound of the natural world, the sounds are more akin to those of electrically powered artificial structures. To them, this is proof of the existence of top secret underwater bases, which are quite probably extraterrestrial, given the advanced technology that would be required to build and operate such an underwater building. Other theories include that the humming could be generated by marine vessels or an unknown geological phenomena. The island of Puerto Rico has had numerous accounts of UFO sightings, particularly along its northeastern coastline, where strange craft have been seen both emerging out of and disappearing into the water for years. There is also a strong US Navy presence on the island, and stories from locals and US expats alike state that the US military at the very least is monitoring the strange activity on the waters along the coast. 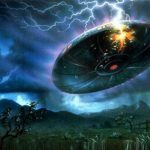 Experienced ufologist and researcher Nick Redfern recently told of an ex–civil defense employee who had witnessed a strange craft emerge from the waters off the Puerto Rican coast. It steadily rose up into the air before shooting off at speed. Another account came to Redfern from a local police officer, who stated that the US Navy had spent considerable time tracking an underwater craft along the northeastern coast of the island. There have been numerous claims and theories that the immediate coastline of this Caribbean island is home to underwater alien bases, perhaps none more specific than those of investigative journalist Jorge Martin. Martin stated that using NOAA satellite images, they found several anomalies around the island which suggested artificial structures. Martin stated that these structures were unusually large and precisely rectangular and were generally on the eastern and southern coast of the island. He also claimed that coming off many of these structures, there appeared to be what looked like tunnels leading to other structures and even to the mainland. What is interesting is that in the Puerto Rican city of Ponce during the late 1980s, local residents were complaining to authorities that they could hear loud rumbling, which seemed to be coming from beneath the ground. It was reported that the sounds were similar to those you might expect to hear when heavy machinery was operated. The sounds seemed to stop after several days. One of the places on the mainland that Martin’s tunnels appeared to connect to was the city of Ponce. The predominantly still waters of Lake Titicaca on the borders of Peru and Bolivia are not only the world’s highest navigable waters, but also host to a plethora of UFO activity and according to some, home to an advanced and possibly ancient alien base. The ancient city of Tiwanaku, considered to be one of the oldest cities in the world, sits on the southeastern shore of Lake Titicaca. 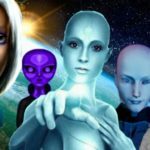 Ufologists, ancient astronaut theorists in particular, state that the advanced level of agriculture, irrigation, and astronomy as well structures that suggest advanced building techniques leads them to believe that an extraterrestrial race once resided here. Numerous texts and statues have also been found in the immediate vicinity of the lake, which seem to depict ancient Mesopotamian underwater gods—gods that they claim were from an alien civilization that once resided under the still waters of Lake Titicaca. Recently, a video surfaced on YouTube shot by a group of Italians who were on a spiritual journey of sorts in the region. As they pointed their camera out to the still, blue waters of Lake Titicaca, what appeared to be a large submerged object was seen slowly making its way away from the shore. It appeared to be disc-shaped object, and as it moved through the water, its shape remained the same, suggesting that it is indeed solid. If there was an ancient alien underwater base below the surface of Lake Titicaca, perhaps this video may suggest that it is very much still in use. According to a former US Marine who served at Guantanamo Bay in the late 1960s, there is an underwater alien base off the Cuban coast. Furthermore, the Marine claimed that of the many UFO sightings of strange objects going in and out of the water, the US military has even managed to capture several on film. He also states that he and his colleagues were under strict instructions not to talk about the strange activity they witnessed there. The Marine claimed that the craft he witnessed appeared to be made of a “dull” metal with a series of blue lights. When they would enter the water, the blue lights could still be witnessed but would grow fainter and fainter, suggesting to him that whatever the object was, it was descending deeper into the water. Perhaps coincidentally, around 140 kilometers (90 mi) north of the US base in Gulf Breeze, Florida, there have been several UFO sightings that seem to match the descriptions of the craft as described by the unnamed marine, and may suggest they are originating from the same place. One particular sighting came in November 1987, when Ed Walters claimed that he witnessed a strange object fly overhead from the coast. It emitted a bright, blue light that “trapped” him in its beam. He stated that while he was caught in it, everything around him was blue, and he could not move. Walters did manage to take several pictures of the craft. Hundreds of witnesses came forward to say they, too, had seen the strange object that evening. There is debate over the credibility of his account. MUFON seemed to believe the sighting was genuine, while others have stated that the photographs were obvious fakes. In a strange twist, years after Walters’ claims, an investigation into his story was said to have discovered a model craft very similar to the object that Walters stated he had photographed in a house where he once resided. Supporters of his claims, however, argue that this model is an obvious “plant” to discredit him. Lake Erie, one of the five great lakes of North America, has a long history of strange lights and unexplained phenomena. However, the area around Cleveland, Ohio, has experienced an increase in UFO sightings over the years. The 2011 book Eerie Erie: Tales of the Unexplained from Northwest Pennsylvania by Robin Swope examines and investigates numerous MUFON reports. Many of these reports speak of UFOs seen “crashing” into the water of Lake Erie. One particular reports from 1988 alleged a strange craft landed on the lake when it was iced over. The landing was witnessed by Sheila and Henry Baker, who made a report to the local Coast Guard. As the mysterious craft landed, there were strange sounds heard coming from the ice as well as a series of blue and red lights from the craft itself. There also appeared to be several strange triangular objects jettisoned from the descending object. These triangles seemed to move purposely around in all directions along the icy surface of the lake. Suddenly, the sounds on the ice stopped, and the craft and the mysterious triangles vanished, suggesting that they had indeed found their way below the ice and under the water. According to a report in 2007 that ran on News Channel 5 in Cleveland, the area had seen no less than 20 UFO sightings in only two years. There are a great many videos on YouTube that claim to show some of these UFOs over Cleveland. Local UFO researcher Richard Lee stated that the UFOs seem to take particular interest in any new building projects undertaken in the area. 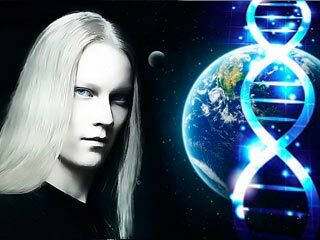 Once a new project begins, according to Lee, there is usually a UFO sighting in the immediate vicinity not long after. Are they coming from their alleged base in Lake Erie? The ancient Lake Baikal in Siberia is said to be the deepest lake on the planet and has a history of UFO activity as well as alleged sightings of aliens underneath the water by Russian military divers. These sightings date back to the Soviet era, but since the end of the Cold War, the reports have come into the public domain. Many of the accounts tell of a huge “mothership” hovering above the expanse of water and even of humanoid beings in strange, shiny suits climbing down from these ships and into the water. Former Soviet naval officer and ufologist Vladimir Azhazha claimed to have leaked top secret files relating to an incident in 1982. He stated that military divers, who were on standard training exercises in the area, witnessed huge underwater craft that moved with a speed they had never seen before. Several days later, the story took an even more bizarre twist when divers witnessed several strange beings under the water. They wore shiny suits and what appeared to be a small, advanced oxygen masks. According to the alleged leaked documents, the unit was ordered to capture these strange creatures. When they attempted to do so, however, they were fought off with what appeared to be an advanced sonar wave weapon that ultimately killed three of the seven divers. The remaining four, now terrified and injured from their attempts detain the strange crew, retreated and made their report to superiors. In 2009, photographs taken from aboard the International Space Station seemed to show two distinct saucer-shaped anomalies in the region, fueling further speculation that an extraterrestrial presence was under Lake Baikal and even the possibility that these “saucers” were the craft that had been witnessed nearly three decades earlier by the Soviet diving unit.